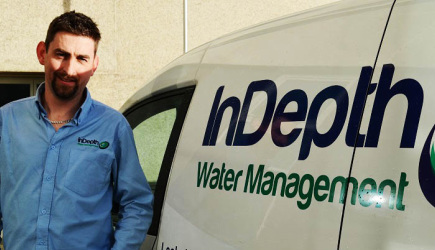 InDepth Water Management are specialists in Water Management Services. We offer a range of measures such as Leak Detection, Water Audits, Fire Hydrant Testing and Dry Riser testing. We are also experts in the latest service offering, swimming pool leak detection. InDepth is a sister company of McBreen Environmental and we have been at the forefront of the water management industry in Ireland for the past six years. Headed by qualified building surveyor Declan Smith, InDepth have grown from strength to strength. We boast the latest and best technology as well highly skilled and courteous staff. So we are best placed to handle all your Water Management requirements. With offices in Dublin, Cavan and Galway, InDepth provide a nationwide service, service to all our customers – domestic, commercial and industrial. We guarantee the best and most cost effective service in Ireland for all clients. For more information on any of our services, please contact us on 1890 77 22 22 or email us at info@indepth.ie . or send us a message on our Contact page. 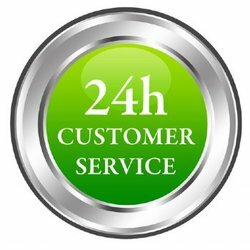 We offer a 24 Hour Emergency Call Out Service Nationwide. Whatever your query or concern when it comes to water usage and loss, InDepth offer a second to none, one stop solution for your needs.